My dad is impossible to shop for. He is gloriously minimal, exceptionally handy, he can make anything that he wants, and he has everything he could need. Does he need more socks? More jeans from Costco? The latest edition of the Land's End catalog? Shopping for parents is extra hard, in my opinion. I mean, what do you get for the humans who literally created you? A nice mug? Some wilted flowers? Below are some of my favorites for the fit dad, the minimal dad, the dad who has everything, or just any old dad. If he is a dad, exhibits dad-like qualities, or is a human residing in the PNW, you'll find an appropraite gift on this list. If all else fails, just let him tell you dad jokes all day. My dad denied wanting a tablet for years, but would happily pack (almost) a full suitcase full of books every year he ventured on his annual pilgrimage to Maui. I bought him a Kindle a few years ago that he swore he would never use but- surprise!- he loves it. Tablets help save space, save money on book purchases, and will help that rad dad of yours enter the digital age. Plus, he can bring it with him for all those boring dad activities, like wedding planning meetings. Does your dad live in the PNW, wear the same jacket every day, or just generally hate buying himself nice things? If you answered an enthusiastic YES to any of these questions, I highly recommend buying him a new (and improved) fleece jacket. He will wear it forever, feel like a million bucks, and look totally hip too. Some free (and delicious) food. 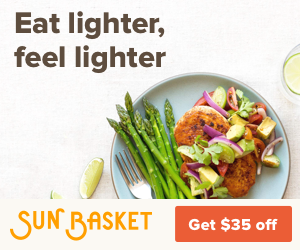 The glory of Sun Basket meals are that they are pre-portioned, organic, come with easy to follow recipes, and are 100% delicious. Your dad will love stepping out of his classic 5 meal repertoire, and will love being able to boast about his new cooking skills. If you're feeling like winning the favorite child card, cook the meals together and listen to him tell embarrassing stories about when you were a teen. Warning: you run the risk of creating a fitness monster by buying one of these for your dad. I never knew how much I cared about my goddamn steps until I was gifted a Fitbit a few months ago, and now I've become a slave to my steps. This is the perfect gift for the competitive dad, the active dad, or the hardworking dad who might not realize what a badass he is when he chops wood all day. But remember- you've been warned. Sign up with your email address to get emails delivered fresh to your inbox. Glasses that aren't older than his first born. Your dad has probably had the same pair of glasses as long as you can remember, right? Like maybe at one time they were on fleek but now they're falling apart? I know, I know. Gift him a credit to Warby Parker. He can try on frames at home, send back the ones that he doesn't like, and upgrade his look from the comfort of his undies. 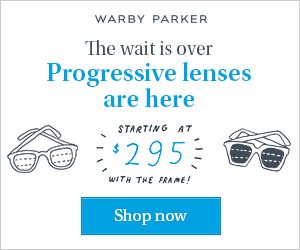 Plus Warby Parker recently started offering a dad classic with all of their frames- progressive lenses! What more could a dad want? I cannot think of a single dad who would complain about owning a high quality rain jacket. Especially since, if your dad is anything like a certain dad that I know, he might not be particularly keen on buying one for himself despite desperately needing one. There is this unspoken rule around these rainy parts that owning a raincoat and/or umbrella somehow makes you less than, but the sweet dad in your life will be happy to have something that's both fashionable (by PNW standards) and functional. Clothes he doesn't have to leave the house for. He can try them on at home. Items are delivered right to his front door to be tried on in the comfort of his home. Maybe even after a few beers. He can tell them what he really thinks. Perhaps one of my favorite part about my monthly Stitch Fix is that I can give my stylist my raw feedback each time and I know that it won't hurt her feelings. It's her job! Stitch Fix asks pointed questions about each items fit, style, and cost to make each subsequent fix even better. So his strong opinions will be 100% useful! He can send them back (for free!) when he's done. My greatest complaint with many subscription boxes is that I'm stuck with a lot of items that I don't want. Not Stitch Fix! Don't like it? Don't keep it. Send it all back in a prepaid bag when you're ready. He can ask for whatever he wants. If your dad wants a Canadian Tuxedo (or 3) he can ask for them. He can ask for a box of flannels. He can ask for pleated slacks (eye roll), and he can ask for sweater vests. The glory of Stitch Fix is that that will send you whatever you want them to, but will make sure that the items fit well, are stylish, and fit his general style. An upgrade from generic soap products. Julep is a Seattle based beauty company that I have completely fallen in love with for their high-quality, frills-free products. 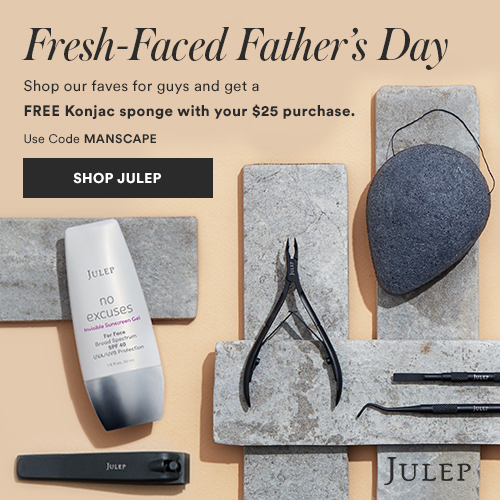 If your dad likes to keep it simple when it comes to packaging, scents, and the quality of his toiletries, he will love Julep. Not sure what to get him? I love the matte black Well Manicured Kit, any of the Julep Konjac Sponges for exfoliating dry skin, and the No Excuses hydrating sunscreen. Shop the Father's Day collection by clicking the picture to the right. A Quilt made from his favorite old shirts. Is your dad still holding on to ragged sweatshirts from his college years? Project Repat makes amazing quilts from old fabric. You can send them anything you want: t-shirts, sweatshirts, sweaters, even your old baby blankets. Sizes range from lap size all the way to king, so he can use as many shirts as he wants. It's a way more thoughtful way to preserve memories than turning them into shop towels. You feel me? PS- I may be compensated if you make any purchases from this post.